Is it worth an overnight flight to Firenze for a taste of gelato at La Carraia near Ponte alla Carrala? 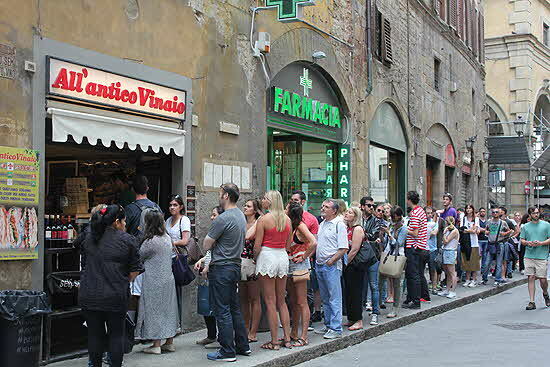 Is it worth a sleepless night on a jet for a sandwich of street food (porchetta and more) at all Antico Vinaio near the Uffizi Gallery? Or perhaps dinner, after a day of sightseeing, at the friendly neighborhood hangout Alla Vecchia Bettola on the Piazza Tasso? Yes, it is. Throw in Florence’s showier treasures the Medici Chapel, the Duomo, and the leather-goods stores, to name just a fewâ€”and this ancient yet lively Italian city becomes an irresistible destination. Last year my wife and I planned a trip to Florence for early May, hoping to beat the rush of summer tourists (we did). We wanted a room with a glorious rooftop view and a location within an easy walk of the museums, churches and restaurants and to get that, we decided to take the leap and rent an apartment instead of staying at a hotel for the first time. To maximize our chances of a happy first-time experience, my wife focused on so-called superhosts, experienced landlords who receive a five-star rating from at least 80% of their guests. Complicating the search: Turns out that in the old city, apartments high enough to offer rooftop views are usually on the fourth floor, which, in Italy, really means the fifth floor and those buildings, many of them centuries old, almost never have elevators. Hotels started looking good again, but she persisted and found a gem (though it wasn’t a bargain): a spacious, beautifully renovated fourth-floor apartment in a historic medieval tower on the quiet side of the Arno a block from the Ponte Vecchio. Miraculously, it did have an elevator, and the host was as super as anyone could ask for. Persistence, and a big slice of luck, paid off and we were free to explore the city as the "natives" do. The apartment. 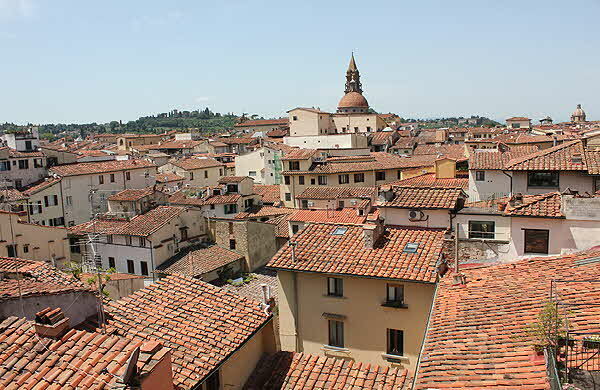 Having a place of our own for the first time in Florence gave us new pleasures: enjoying leisurely breakfasts as we watched birds wheel over the cupolas of the city; taking midday naps after a busy morning; coming and going with the same ease we did back home. And living in a historic building. Santa Maria Novella, Basilica and Cloister. This peaceful and expansive sanctuary is hidden away within a few hundred yards of one of the cityâ€s busiest spots: the central railway station. While often overshadowed by the more famous Duomo and the Uffizi, this church is a historic and artistic treasure house that was built by the Dominican order from 1297 to 1357. Within the serene complex are a Gothic basilica, a cemetery and a cloisterâ€”and some of the most important works of art in Florence, such as Giotto’s Crucifix. Palazzo Davanzati. Once the domain of a wealthy family, the building is now a museum that recreates the feeling of an upper-class private home in the 14th century. Built by the Davizzi family, bought by the Davanzatis in 1578, and purchased by the state in 1951, the palazzo offers an unforgettable peek into the life and style of Renaissance domestic life; you’ll see everything from bathrooms to dazzling frescoes to the pulley system rich folks used to transport water to the upper rooms. The building is also an interesting example of the transition from medieval tower houses to the architecture of the Renaissance. But plan ahead. 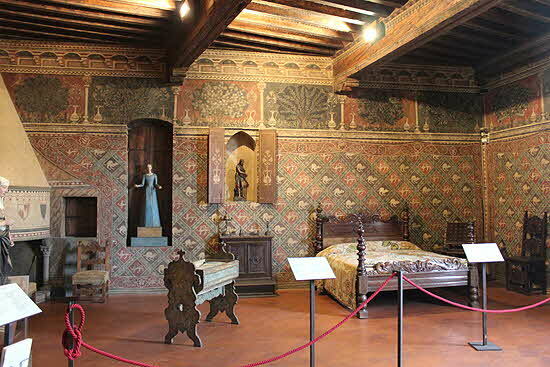 Only the lowest floor of this museum (officially known as the Museo dell-Antica Casa Fiorentina) is open to all comers. You want to see all four floors, which means you need to make arrangements in advance, by calling or visiting the site. 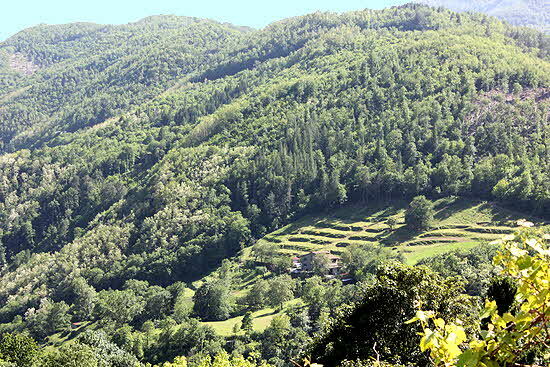 Alla Vecchia Bettola. Tourists are everywhere in Florence, even off the beaten track at this excellent neighborhood restaurant on the south side of the Arno, away from the central city. But while your neighbor on one side may be speaking Finnish, your other neighbors will be local Florentines chatting with the dog-walkers who pass by. Known for its high-quality (not inexpensive) Tuscan cuisine, including Florentine steaks, Alla Vecchia Bettola is always crowded, so go early and hope to sit outside. With any luck, you’ll have the same cheerful waiter we had, who jumped in to help my wife with the verb she was struggling to conjugate. All’Antico Vinaio. This takeout sandwich shop is a stone’s throw from the Uffizi Gallery and the Piazza della Signoria. It looks like a hole in the wall, but its street food is famous (well reviewed bySaveur, for example). But you’ll need two things: cash and patience. No credit cards allowed, and plan on waiting in a long line. (The family also runs a sit-down restaurant on the same block). While you’re on line, you have time to study the menu and make your choices, your bread, your filling, your spread, before you step inside to order. Once you’ve got your selection in hand (our favorite was the porchetta), find a spot to eat on the Uffizi steps or, if that’s too crowded, wander through the web of streets until you find a shady spot under an ancient arch. Word of warning: the portions are so big, we started saving the leftovers for breakfast. Trattoria da Fagiolino, Full disclosure: This traditional Tuscan restaurant isn’t actually in Florence. To enjoy a spectacular Sunday lunch there, you need to follow the example of many foodie Florentines and drive 30 miles northwest into the hills of Etruria. But the effort is justified by the payoff: the food of Da Fagiolino and the lovely walk you’ll take after lunch through the town of Cutigliano. Founded by Roman legionnaires in 63 BC (at least according to legend), this medieval town is now a picturesque resort. 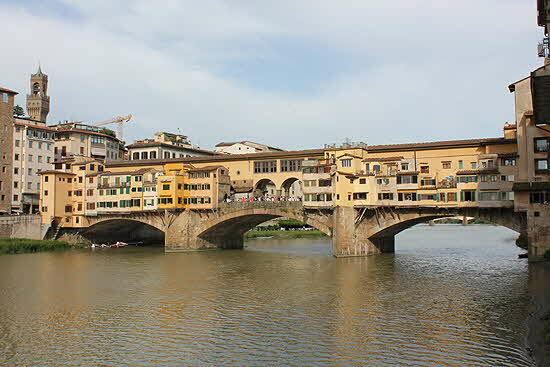 Florentines love it here, so in summer be sure to book ahead. The Siena Duomo. OK, these aren’t located in Florence either. But thanks to Italy’s high-speed trains and a station conveniently located in center city, we were also to see much of Siena on a day trip. Don’t miss the church and its baptistery, built from 1136 to 1382 and characterized by the black and white stone quarried on the outskirts of the city. Even in a country rich in such historic attractions, the Siena Duomo is recognized as a standout. Travel writer and novelist, John Coyne is editor of Going Up Country: Travel Essay by Peace Corps Writers published by Scribner’s Sons, among other novels and non-fiction.